An Izmir man, identified as M.S., was detained for helping the overseas followers of the Gulen movement raise money for post-coup victims in Turkey, on Friday. Bursa police carried out an investigation to round up M.S. who was suspected of distributing money to the victims of the government crackdown against the Gulen movement in the aftermath of the July 15, 2016 failed coup. M.S. 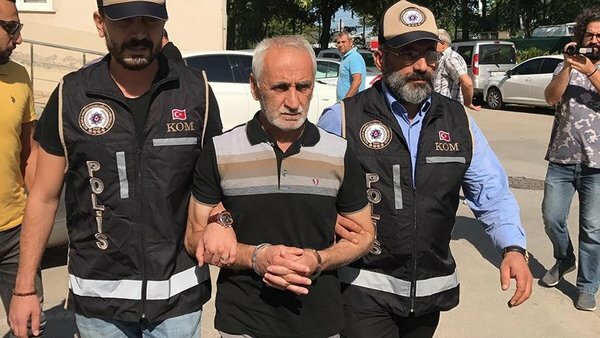 was rounded up while he was withdrawing the money allegedly transferred from Canada-based Gulen followers to his account, at a bank branch in Izmir’s Bergama district. According to Turkey’s state-run Anadolu Agency, the funds, raised to support post-coup prisoners and those under investigation as well as the people dismissed as part of the government crackdown and their families, was raised in Canada and was sent from a bank in the US. Turkish government accuses the Gulen movement of leading the July 15, 2016 coup attempt while the latter denies involvement. The government detained more than 125,000 people and arrested 55,000 of them over ties to the movement over the past year. A retired police officer from the western province of Izmir, M.S. was also caught in the government’s post-coup purge as his son, also a public servant, has been recently arrested over ties to the Gulen movement.